Look at this stunning garden!! 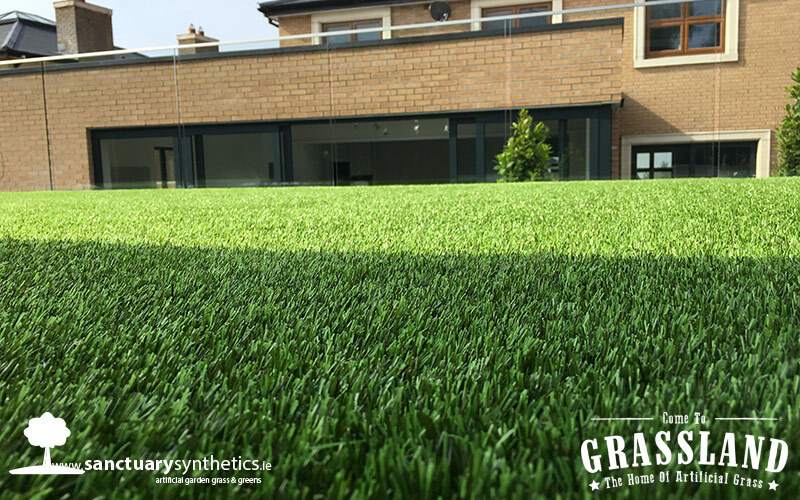 Artificial grass is becoming a lot more mainstream, gone are the days when people would laugh at the concept of getting artificial grass. 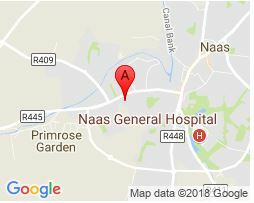 They would say “sure why would we need artificial grass if we already have so much Irish turf!” I doubt they know the endless benefits of getting artificial grass. 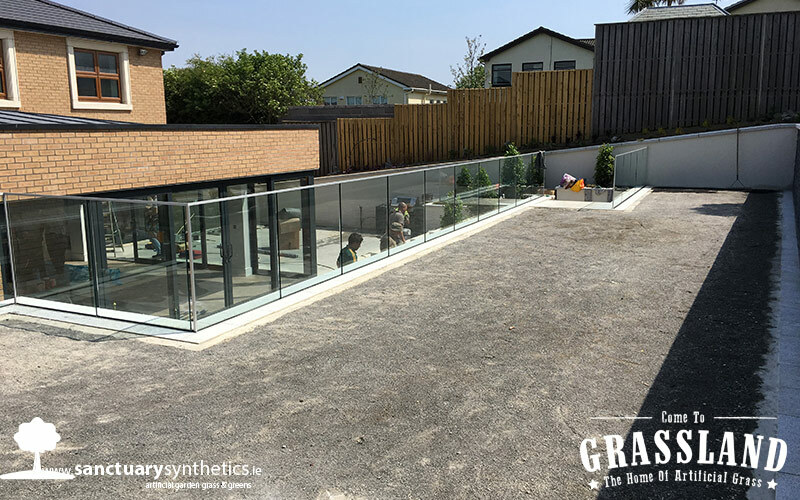 A local landscaper prepped the ground works for this particular job, our Sanctuary Synthetics team came and installed the artificial grass. The grass chosen by the family was our SUPER artificial grass. 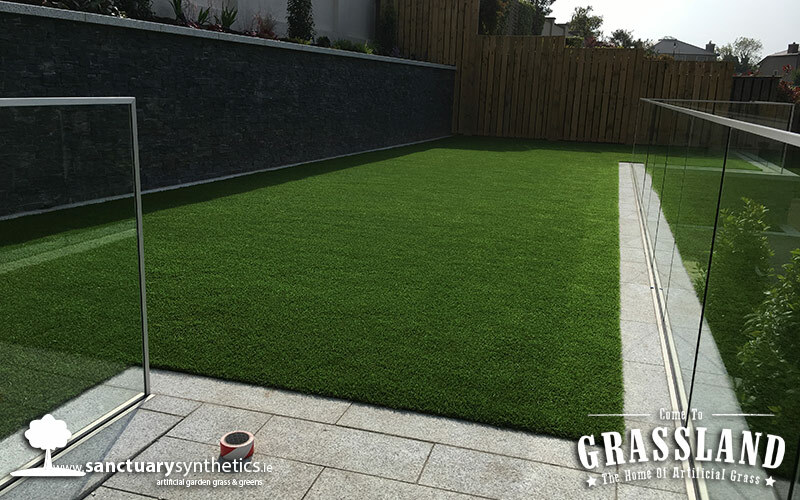 This is our most luxurious grass, it is very realistic looking and hard wearing. It is 40mm in pile height, it holds its shape very well. The main difference of SUPER it is colour. It has a combination of both light and dark green fibres with our regular brown thatch at the root. Stands up very well to everyday wear and tear in a busy family garden. We have had 4,000+ satisfied customers who are beyond happy with their artificial lawns. 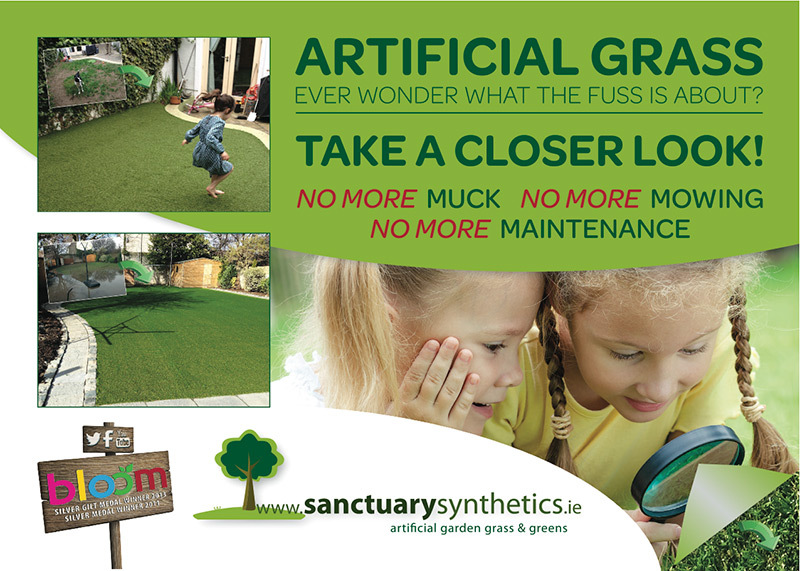 Say hello to a natural looking lawn, a shock absorbing non-slip safe surface, quick drying maintenance free lawns. You will have happy children and pets who are free to run and play. Say goodbye to mucky children’s clothes and shoes, cabin fever, no more bored kids. Tantrums, tears, cuts and grazes. Weeds lawn maintenance. 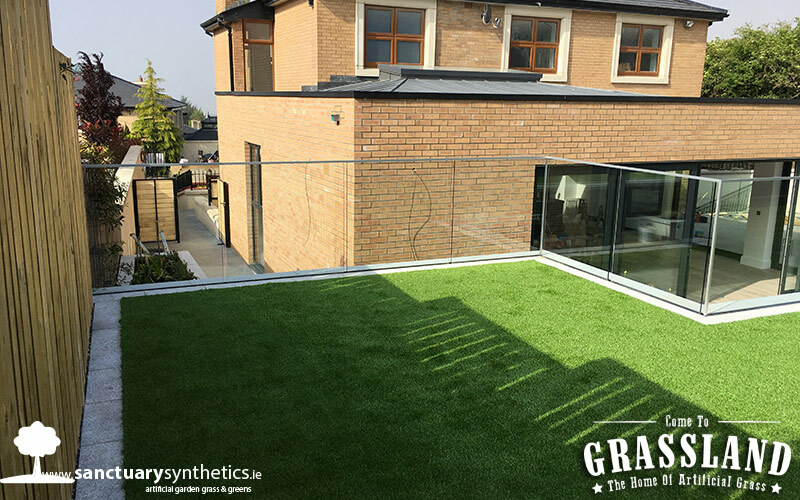 This lucky family of this gorgeous garden can now reap up the benefits of having artificial grass installed in their back garden. 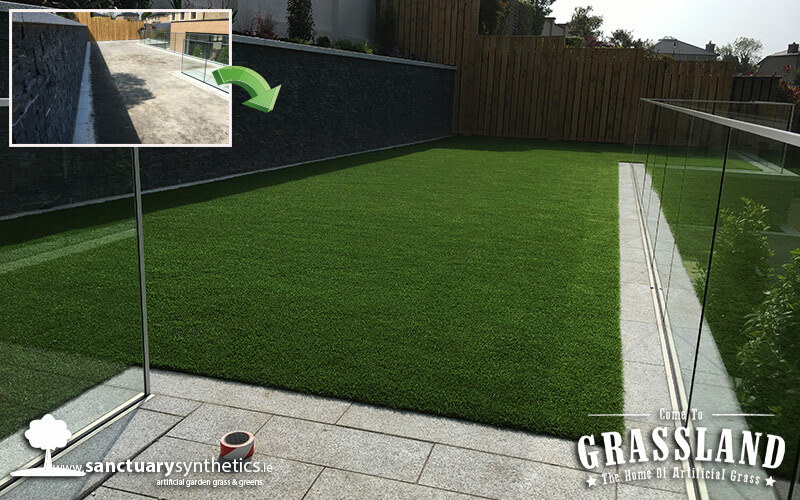 When our Sanctuary installers arrived at this job there just knew how much our artificial grass would bring to this garden. Artificial grass really gives this garden a totally luxurious feel. The artificial grass goes flush to the edge of a beautiful wall that also double up as a planting section to add extra colour to this Dublin garden. The wall was not erected by us but we think it was made to have artificial grass beside it as it compliments it so well.